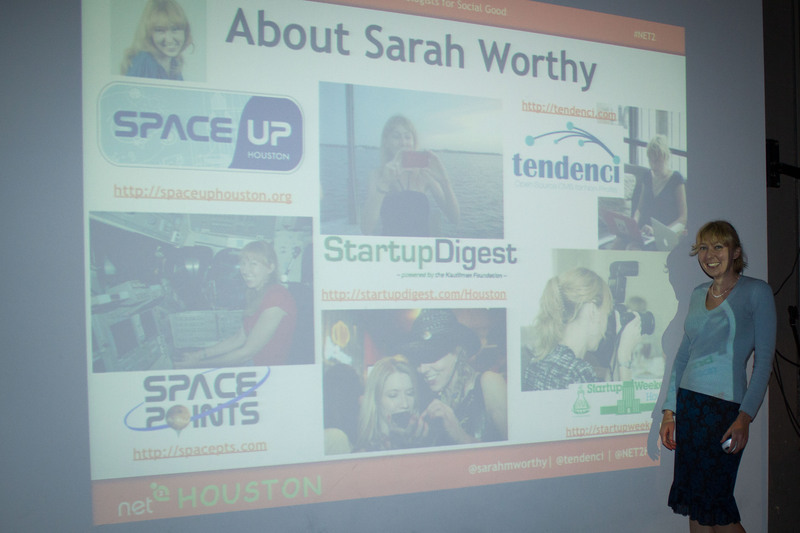 Sarah Worthy is a WSlab Alum – she graduated with the female founders of our most recent batch, B13! Sarah is the founder of Door Space which was created based on the passion for empowering people to become digital-savvy entrepreneurs and leaders in the healthcare communities. Sarah has a huge passion for technology and 15+ years of experience creating and executing digital strategies that create engaging and profitable experiences. We had the chance to talk with Sarah about herself, her startup and her WSLab experience. I was born and raised in San Antonio, TX. My mom got me a computer when I was 7 which I credit to developing my passion for technology. After college, I started working in telecommunications, and then later hardware and now software. I have over 15 years experience as a systems architect and data scientist. I’ve worked almost exclusively with internet technologies and helping businesses leverage innovative new technologies to achieve a competitive advantage. I’m also passionate about helping nonprofits leverage these new technologies to bring about social change. What exactly is Door Space? Door Space is building a cloud-based, integrated talent management platform that supports the modern healthcare workforce through data science, AI and machine learning across the full talent lifecycle. Our platform uniquely connects workforce management activities like compliance and continuing education to patient outcomes and value based care objectives. The average hospital spends more than $30M a year just to process clinical talent’s paperwork, an $85B a year problem across the US healthcare system. Our solution dramatically reduces this waste while simultaneously delivering new capabilities to strategically develop and retain top clinical talent: a particularly valuable tool for organizations with high nurse turnover. What inspired you to start Door Space? Initially, the idea began because I was interviewing for roles that I was qualified for but my credentials and experience kept being challenged due to the fact that my degrees from college were in business and philosophy while my on the job training over my 15+ year career was primarily in areas of information technology and data science. It turns out recruiting companies and HR departments rely far more heavily on our degrees from 20 years ago than actual experiences and work outcomes produced since. I began talking to other professionals in Houston across multiple industry verticals including technology, aerospace, healthcare, energy, finance and government – I was hearing that both individuals and companies lacked the ability to measure talent potential and skills competencies. The more research I did, the more apparent it became there is a huge, untapped opportunity to apply digital analytics and data science to talent development and workforce management. Current solutions out there don’t track and measure the activities that demonstrate skills competencies and potential. When I spoke to people in healthcare – I learned this problem has a huge impact on the lives of clinical professionals and their patients and the industry is actively seeking to evolve to a workforce that continuously learns and improves. I saw this was an opportunity to build something that really made a difference in our lives. The most valuable thing has been the community of support WSLab gives us. 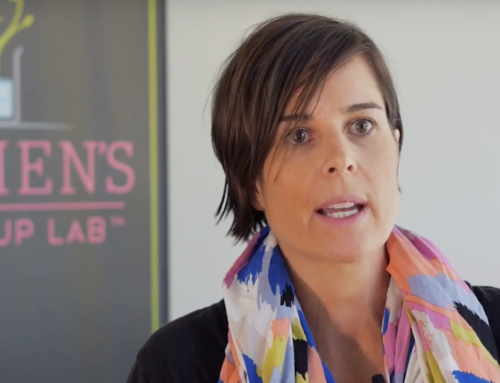 We have the team at WSLab plus the other women entrepreneurs in our cohort plus all the advisors and mentors and other women founders who are part of that community. These are people who understand with a deep level of empathy what I’m going through and who genuinely want to support one another. I’m very honored to be a part of this community. What’s most surprising is how close we’ve become in our cohort. We came together as complete strangers and 2 weeks later, we left as close friends – constantly sharing business advice and words of encouragement for one another. Even though we’re geographically spread out around the world – we are communicating every day together and that’s been tremendous support. What key points did you learn from WSLab and how did your startup or you change after your WSLab experience? The biggest impact WSLab had on me and my startup is in the way I view my role in managing my business and myself. I came back with more confidence in being able to leverage my strengths and delegate my weaknesses to others. Learning from the advisors in Silicon Valley who have successful exits and walked this journey as a tech startup founder before – this has been hugely impactful for me because Houston doesn’t have the large community of serial tech entrepreneurs that can share their first hand experiences. The advice and mentorship I’ve received has changed how I approach customer development and fundraising. What do you recommend to other female founders about WSLab or why should someone attend the WSLab accelerator? I recommend you apply! This program has a very high rate of success compared to most accelerators and that’s because they focus on the quality of the idea in their selection process as well as the founder’s passion and commitment. If you are a mother and an entrepreneur, this is the accelerator for you to get access to Silicon Valley expertise and investors without having to move your kids out of school or try and juggle 3 months without them. How did you come up with the name of your startup? 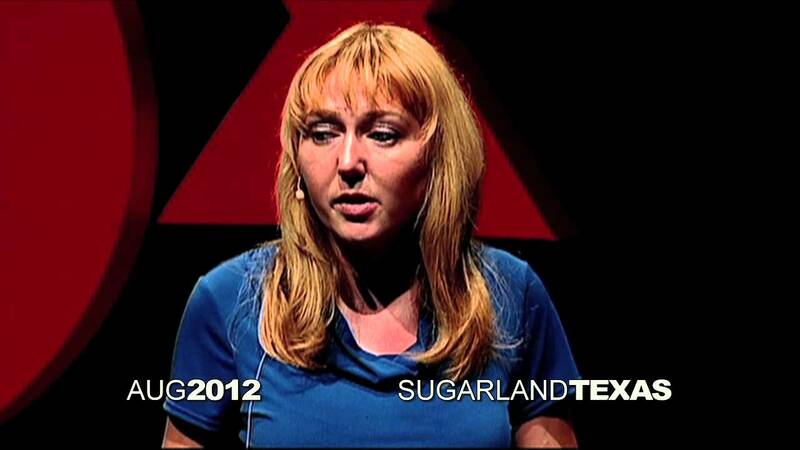 The name comes from this TEDx talk I gave a few years ago right around the time I started brainstorming the idea behind Door Space. 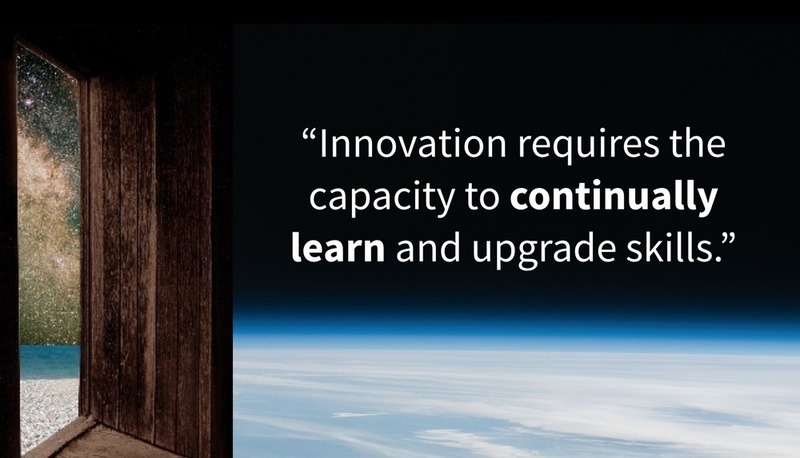 I co-founded a grassroots nonprofit called SpaceUP Houston and the talk shares what our organization accomplished within our community to bring together commercial and NASA aerospace innovators. One of the slides from the talk has a quote: “Innovation requires the capacity to continually learn and upgrade skills.” The image on the slide with the quote was of this giant door opening up into space which captured what I was building: Door Space builds technology that gives industries the capacity to innovate through continuous learning and skills upgrades. It’s been a huge challenge and at times felt overwhelming… it’s also a dream come true and I wake up every morning excited to be able to work on something I truly believe in. Early on, I didn’t have typical days but now that we have an MVP and a pipeline of prospects, my days have started to become more steady. I wake up early, usually before 6am and spend a couple of hours reading research and news while I have breakfast. I run every day for about an hour in the morning and then I am either on the phone or heading out to prospects offices for meetings. The middle of my day is variable based on who I have meetings with or if I’m preparing a demo for a meeting. I try and find good networking opportunities in the evenings and will schedule a couple of nights a month to attend technical meetups so I can keep learning and developing my own skills. I spend my evenings online researching prospects and investors, replying to emails and confirming meetings for the next day. I’m fortunate that in B2B healthcare, my customers rarely work on weekends and so weekends are when I take time to go meet up with friends and take naps and take time to restore myself. What is your favorite part about running Door Space? Getting to lead the vision and make the final decisions – that’s new for me. I have spent my career building technology solutions for enterprise-size customers which means I almost never got the final say on anything. What is your least favorite part about running Door Space? Juggling everything while I find the right people to bring on and fill out our team. I love working on customer problems and solving them through technology and so much of the work I’m doing right now is in sales and operations – areas I’m weaker at, and so I look forward to bringing in people smarter than me in these areas. That’s one of my top 3 priorities this year. Last year I didn’t do too much marketing/publicity. We’re still at the early stage where we need to find our first customers, grow our team and figure out our internal processes. I have done some media interviews but most of my energy is spent meeting with prospective customers and getting to know each other and navigating the 18 month hospital sales cycle. This year, I’ve been making a commitment to do more public speaking at industry events and interviews like this one to connect with investors and startup talent. Is there anything on the rise for Door Space? We’re early stage and so everything is on the rise for us! The healthcare industry is growing, especially demand for talented doctors and nurses, which increases the market’s need for innovative talent and workforce management solutions. I read a book in college called Psycho-Cybernetics, which anyone who wants to be an entrepreneur needs to read. I recently pulled my copy out of storage and have been doing the exercises it recommends every day. I also reach out to friends who are and have been entrepreneurs when I’m having a tough week to talk with them and get their perspective. I’m a systems thinker, which means I think more holistically and don’t view life in buckets like work or personal – it’s all my life. My work is personally rewarding for me, and I’ve been incredibly fortunate that my technical skills and passion for innovation in industry has given me the opportunities to earn a living doing what I love to do. I frequently volunteer with nonprofits who need my tech skills and can’t afford it which has led to both great friendships and meaningful change in my community. I make sure to workout, get enough sleep and eat right so I have the energy I need. I take some time off on weekends to give myself space from my work. I love to go driving out in the country or hiking through the nature trails here. I don’t think anyone would call my life balanced – and I wouldn’t have it any other way. Do it. Don’t wait, you don’t have to quit your day job, just get started.